Sometimes successful in vitro fertilization has haunted me. Yes, you read that right. Successful. What could I possibly worry about? I am beyond grateful for my two-year-old IVF twin boys, but I can now see why some people may not feel comfortable with such extreme measures to create children. The idea of “playing God” didn’t really worry me. After all, isn’t that what normal fertile people do when they create a baby in the bedroom? We had already done seven rounds of fertility pills, and six rounds of IUI (Intrauterine Insemination). We had had miscarriages and we had adopted. Wouldn’t all that also be playing with creation? We couldn’t see what we were doing, because it was happening inside my body, or inside our birthmother’s body, but we were still rolling the genetic dice. The difference with IVF is that we were about to take the eggs out of my body and actually see – with our own eyes – what we were doing with them. We would subject them to microscopic scrutiny. We would sign legally binding documents to determine how they would be handled before, during, and after fertilization. Those eggs, and later, those embryos, would be our property, but they would not yet be in my body. They would be our genetic offspring, but not yet our children. Some of those embryos would be dismissed for growing too slowly or too badly. A scientist or a doctor – and not my body – would decide which embryos were strong and which ones were weak. The weak embryos would be left to “stop progressing” and… discarded. I think about the six embryos that didn’t grow during our second (and only successful) round of IVF. The ones that were… discarded. I often wonder what they would have looked like, had they progressed and finally grown into children. Would three of them have looked like my husband and Twin A? Would the other three have looked like me and Twin B? Would they have each have looked completely unique? Would they all have been boys? Would they have inherited my migraines or my husband’s allergies? Each of those things was written into those tiny eight-celled organisms. I’m not sure I really know (believe?) that eight-celled embryos have a soul. Even my conservative church has stated that we don’t know when a soul enters the body. And yet, my heart hurts for the six that never grew. They weren’t my children, because I wasn’t pregnant, but what were they? Maybe they are our children. Will we raise them in the afterlife? They didn’t die, really, but weren’t they alive? And the most haunting part of all is my two embryos that did live to be implanted in my uterus. As I have written before, we made the decision to implant both with a shrug at the Roy Rogers when my doctor called with her recommendation. “We have two clear frontrunners, but they are growing more slowly that I would like. 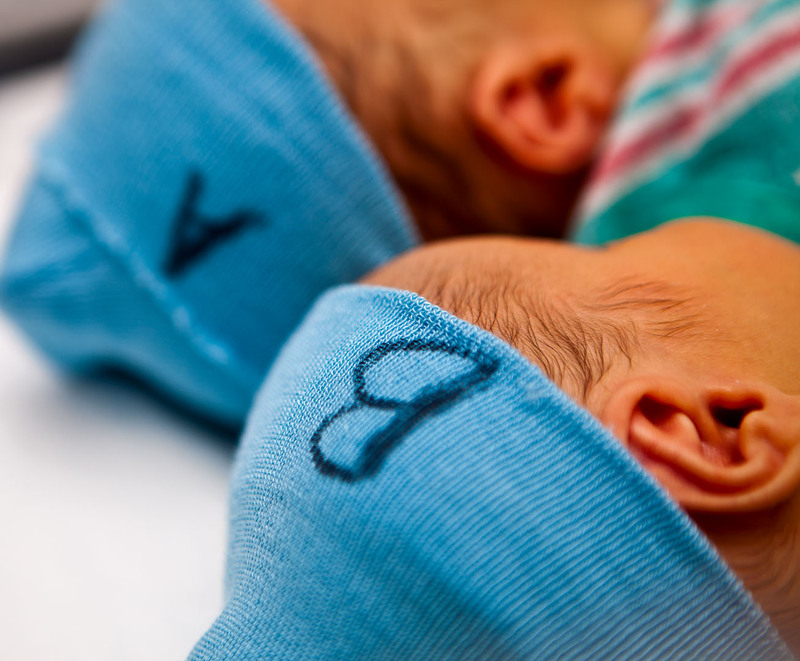 Therefore, I change my recommendation to two embryos, as long as you understand that your risk of twins is 40% at your age.” She told us that they were not strong enough to make it to freezing, so it was now or never. Shrug. Okay. It’s not going to work anyway, so we might as well. I am haunted by that moment. I will be haunted for the rest of my life at my shrug, at my casual decision. Yes, it’s true that carrying those twins and birthing them nearly killed me. You might think that I regret my casual decision to implant two embryos because it put my life in danger. No. I would have happily died to give them life, although it hurts me to know how much that sentence must hurt my husband. What haunts me about that moment is how casually we could have just decided to implant one embryo. What if we had just as casually shrugged and said, “Nah. Let’s just do one.” We would have had every right to do that, legally, ethically, and otherwise. We would have even perhaps been considered wise to do that. It would have been a more sound financial decision, and my life probably would not have been in danger. Which one would it have been? The idea that one of my precious two-year-old twins could have been left to “stop growing” in that Petri dish makes me feel like I can’t breathe. Like I’m going to be sick. Faint. I can barely go there in my mind. It even hurts to type it. My precious Twin A, with his big Charlie Brown head and his big pouty lips and his horrible siren-like cry, and his big feelings and his crooked toes and his perfect hugs? My precious Twin B, with his long eyelashes and his fiery temper and his shrieks of joy and the smell of his baby-head that never seems to go away? How could I have been casual about any of that? How could I have made that decision in the Roy Rogers? (Granted, we had one hour before the procedure and had to decide.) What other decisions have I made that have had such far-reaching consequences, both good and bad? What if one of them wasn’t here? …Discarded.